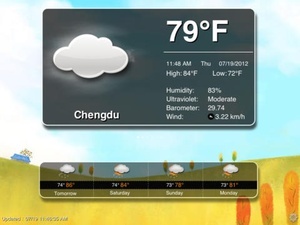 Would you like to enjoy all kinds of weather scenes on a weather forecast software? … When it is sunny, you can see the sun shining in the air. 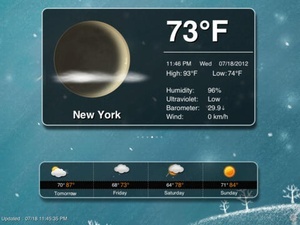 When it is raining, you can see drizzles falling on the screen and some lightning flickering now and then. When it is cloudy, you can see some clouds flying all over the sky. 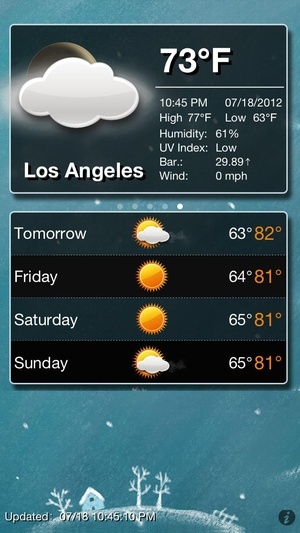 … Yes, this is exactly what we want to bring you by this softwareAnimation Weather Free! 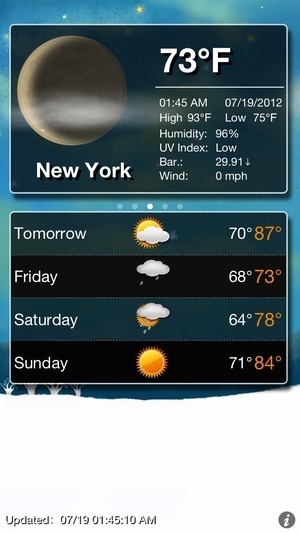 Animation Weather Free is a beautiful handdrawn weather app, which can truly and vividly display the current weather condition by real animation effects. 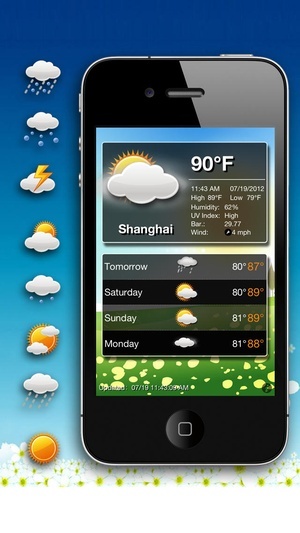 Therefore, you can get to know the weather information at a simple glance. 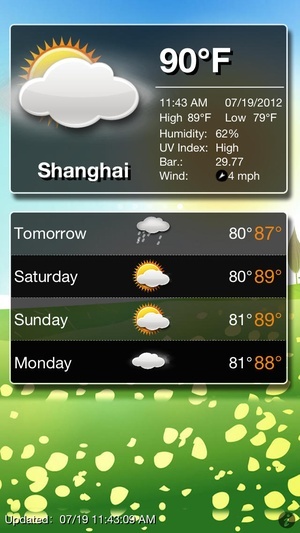 Meanwhile, this app can forecast 5 days’ weather information and also supports world clock function. 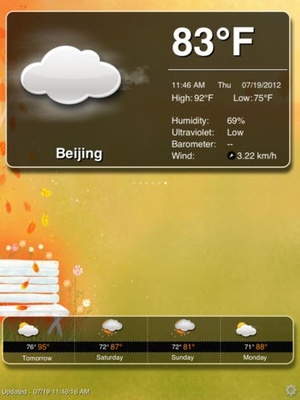 With this app, you can know clearly the highest temperature, the lowest temperature, the current temperature, humidity, rainfall, wind direction, etc. 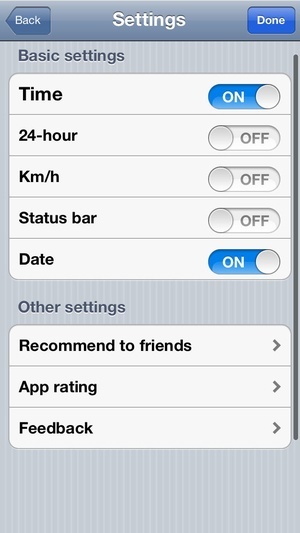 Last but not least, this app also supports multicity adding and managing. 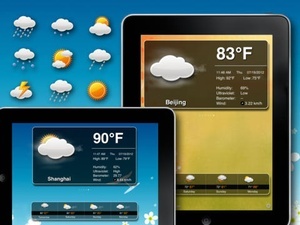 Check these links to find your download for Animation Weather Free for & iOS or for your device iPod TouchiPhoneiPad. 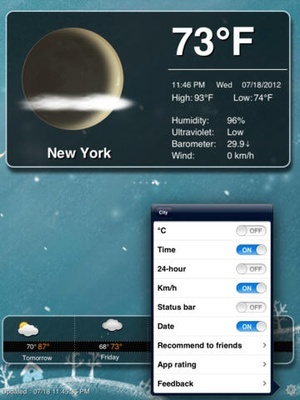 The app Animation Weather Free is compatible with te following devices.